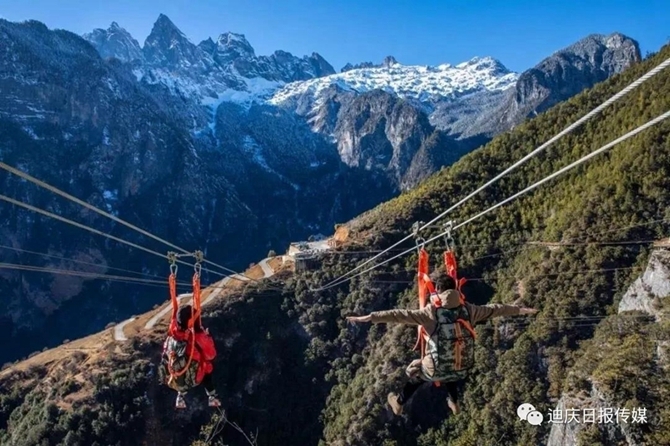 To offer visitors a new perspective for sightseeing, a high-altitude zip line service was launched in Shangri-La’s Balagezong scenic area on March 17. 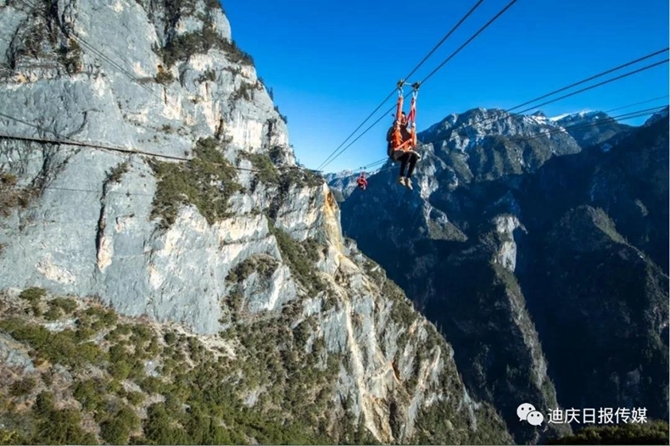 With a length of 425 meters and a fall of 800 meters, the zip line bridges the Shangri-La canyon. 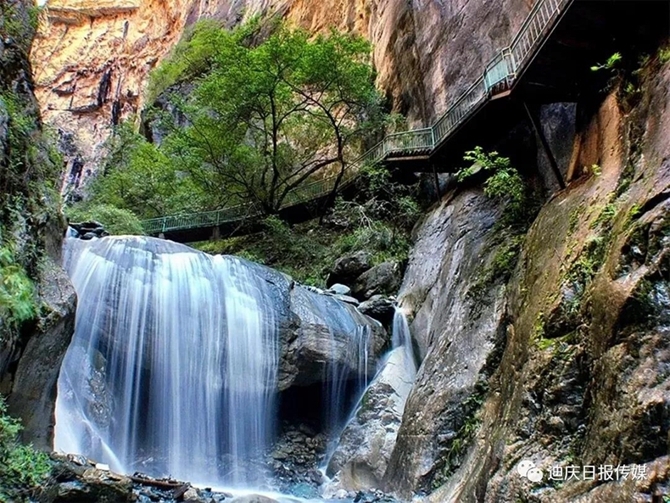 And the tour line is also the longest, highest and most trilling of its kind in Yunnan Province. 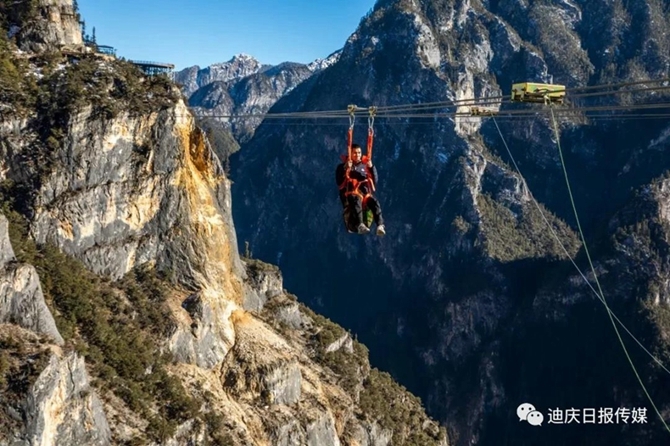 From March 17 to April 30, 2019, tourists can enjoy discounted tickets of 96 yuan/person. The full price is 120 yuan/person. 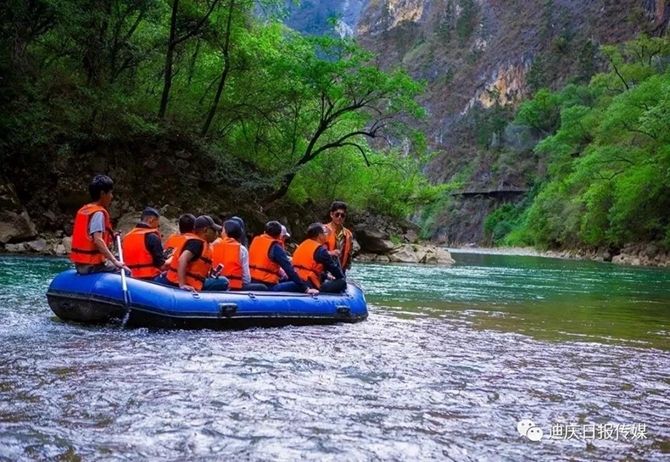 Located at the tri-junction of Yunnan, Suichuan and Tibet, as well as in the core area of the “Three Parallel Rivers”, the Balagzon scenic area make a wonderland that offer tourists an array of stunning landscapes. These include snow-capped mountains, virgin forests, plateau lakes, pastures, glaciers, canyons, the legendary Bala village, the nature-born Shambhala pagoda, and more.